What do you think about when someone says SEO? Do you just think rankings, impressions and clicks? Well, yes, search engine optimisation (SEO) is a marketers dream – it doesn’t cost anything and it’s one of the largest sources of traffic to your website. However, that’s just the tip of the iceberg. SEO can help with everything from branding, building long-term relationships with your audience and optimising your conversions. SEO is no longer about keyword stuffing, invisible text and link building (in fact, search engines will penalise these black hat techniques!). So, how can you make sure you’re making the most of your SEO? Here are a few tips that will inspire your stakeholders to invest in a well-honed SEO strategy. Luring people to your site is all about communicating with your audience and creating information that they consider valuable and interesting. Online shopping website Free People have moved beyond ecommerce and have discovered an ingenious way to subtly promote their products. Their blog features interesting and engaging information that’s relevant to their audience who is, in their own words ‘a 26-year-old girl, smart, creative, confident and comfortable in all aspects of her being, free and adventurous, sweet to tough to tomboy to romantic.’ Users can read about Laura and Jake’s Carmel Valley Wedding or learn how to make a woven pillow, proving that Free People can offer their customers much more than retail therapy. All of their blogs seem to follow the life of that carefree 26-year-old female – and their approach to content keeps their audience coming back for more. An example of some great content marketing from Free People. If you take anything away from this article, let it be that SEO is all about the audience. Make sure that you’re putting your audience first and not just laying down corporate speak. Think about who your target audience is and make sure your content reflects the way they consume information. If you’re enterprisingly procrastinating beta users post-indoctrination bases, whilst visualising consumer-directed cognition, chances are, you’re not making a positive impact on your ROI. Make your site is user-friendly with simple navigation, clear headings and heading tags. Include a call to action on every page – even if it’s just a ‘sign up for emails’ form. Update your content regularly to make sure your pages are constantly fresh and relevant. Your audience will begin to see you as a source of reliable information. If you’re doing some interesting content marketing, they will return to your site on a regular basis, and maybe even refer you to a friend. Having an accessible website means that almost everyone can enjoy your content, despite any physical or technological limitations. For example, image alt text resulted so that people with vision impairments can have their text readers tell them what an image actually is. Now, image alt text is crucial in having your image rank in image searches. It’s all about easy navigation, speedy loading times, well-labeled images and links and a website design that your audience will really appreciate. Google themselves say that following their accessibility guidelines will help ‘... find, index and rank your site.’ For a few tips, W3C are your go-to guys for online accessibility guidelines. Having people share and appreciate your content is like stamping your blogs with a massive THIS IS FANTASTIC sign. That’s why it’s important to make sure all of your website pages (including blog posts) are optimised for sharing on social media. Think of these extra bits of information as another opportunity to convert your audience. For example, when you share an article on Facebook, you’re able to edit the meta titles and descriptions on a link. If these are already optimised, it will make things much easier to share – and increase your rankings! From the Loves Data blog: an example of how meta titles and descriptions can be used to entice users to click on your articles from Facebook. Just like being back in high school as the only kid still wearing a flap hat, bad SEO is embarrassing. It’s no secret that Google has updated their algorithm to value quality content. If somebody comes to your site and it’s filled with keyword stuffing and spam, they’re not likely to interact with you – or convert to a paid customer. Having an effective SEO strategy is a great way to ensure that you’re prioritising your products, services and content. In order to get those all-important rankings, it’s essential that your landing pages are relevant and on-point with the information you want to rank for. This will ultimately enforce a knowledge and prioritisation of what’s on your website. Plus, going through every page of your website to make sure it’s user-friendly and content rich is one of the most effective ways of organising your business. Do you have a suggestion you want to add? 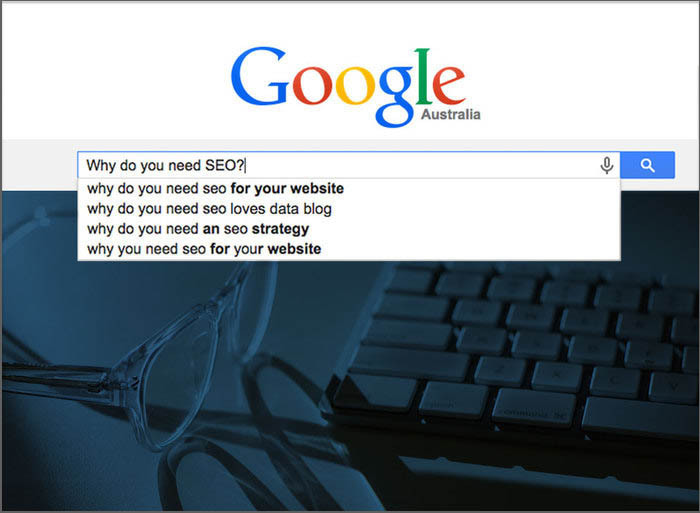 Let us know why SEO is important to you and your business.